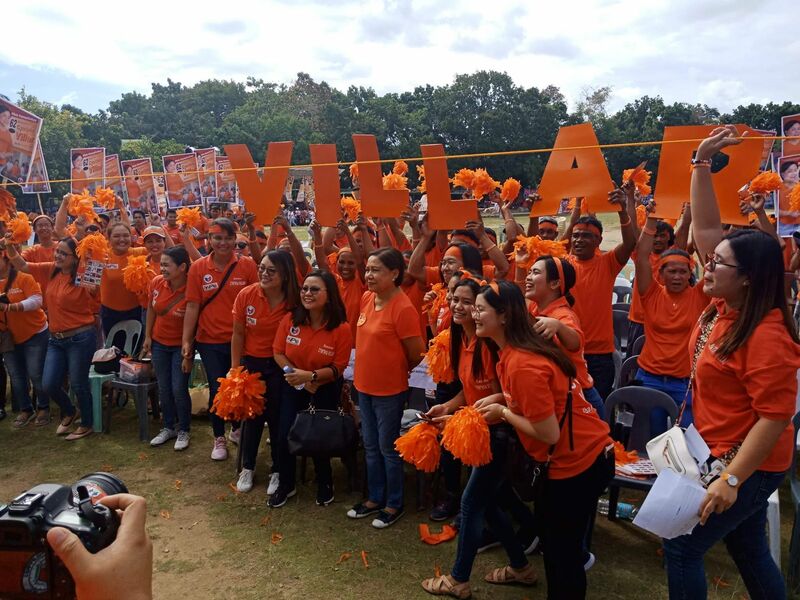 Reelectionist Senator Cynthia Villar was the first to arrive and first to leave among senatorial bets expected to join the Hugpong ng Pagbabago (HNP) rally at the Holy Name University Oval in Tagbilaran City on Wednesday. Villar arrived at the rally venue at 1:30 p.m. and left at 2:30 p.m. before the program’s scheduled start at 4 p.m. According to Villar, she had to leave ahead of the program as she has another campaign sortie to attend in Metro Manila. She was reportedly travelling via a private jet which landed at the Bohol Panglao International Airport. Villar however took time to meet with her supporters including candidates from the Third District led by congressional bet Board Member Alexie Tutor. She also briefly spoke with members of the media and highlighted her agricultural programs. Other senatorial bets are also expected to attend the rally including reelectionist Senator Sonny Angara, former Philippine National Police director general Ronald dela Rosa, Ilocos Norte Governor Imee Marcos and Maguindanao Rep. Zajid Mangudadatu.